An operation is usually unavoidable after a ligament injury in the knee, such as tearing of the anterior cruciate ligament. 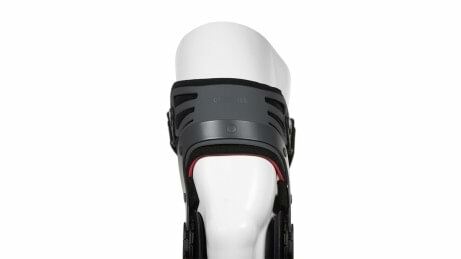 The Genu Arexa knee brace optimally supports each phase of the healing process after surgery but also during conservative treatment without an operation. It not only prevents undesirable movements, but also restores your safety and confidence in your own mobility. Furthermore, it permits a controlled transition from your first steps after the operation to full weight bearing. 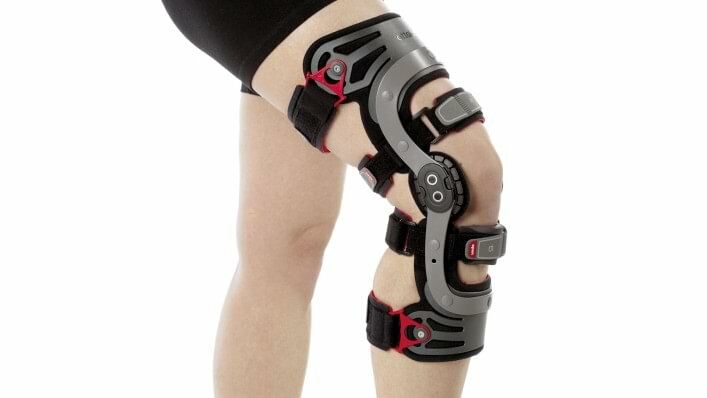 The knee brace can also be worn at night and during physiotherapy exercises. Why do doctors, O&P professionals and patients rely on the Genu Arexa? Because it is easy to use: its self-adapting plastic shells perfectly mould themselves to the shape of the user’s leg the first time the brace is worn, and numbered straps make it simpler to put on and take off. 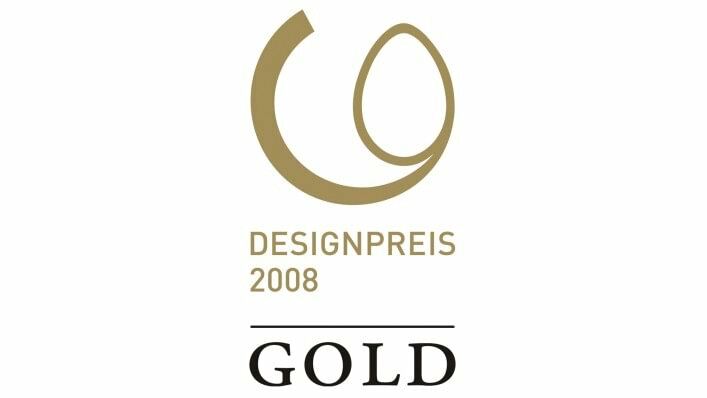 Plus, it features a user-oriented, multiple award-winning design and can be easily adapted without any tools. 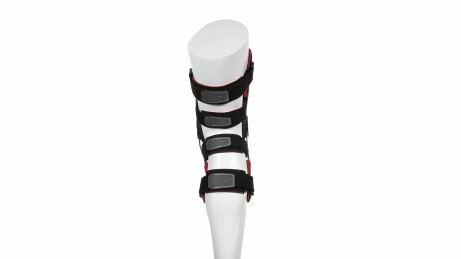 The anatomically shaped tibia pad is height-adjustable and prevents pressure points on the sensitive shin bone. It also prevents unwanted rotation movements. The plastic shells are flexible, lightweight and automatically adapt to the contours of the leg when the straps are tightened. This enhances wearer comfort. Thanks to the practical hook-and-loop closures, the Genu Arexa can be placed on the leg and closed in comfort. Numbered straps make the knee brace easier to put on and take off. The numbers indicate the sequence for fastening the straps. After an operation, the transplant is not yet capable of bearing as much weight. However, basic research shows that it can be protected by knee orthoses such as the Genu Arexa during this period. Your doctor or orthopaedic technician can limit the range of motion in just a few steps, and then gradually increase it. 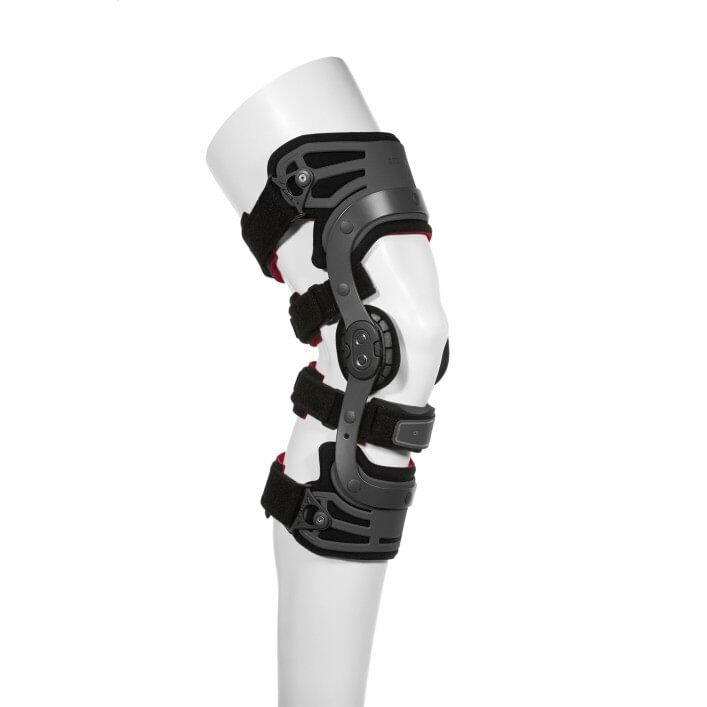 The knee width is individually adjustable as well, for example to adapt the orthosis to the swelling of the knee. You want to be free of complaints as quickly as possible after an injury. The sooner you move your knee again – naturally in consultation with your doctor – the faster you can bear normal weight. The Genu Arexa provides you with the safety you need and alleviates possible fears of incorrect movements following a ligament injury. This helps you gain confidence in your knee and allows you to once again perform activities of daily living like you used to. In the course of daily use, many patients particularly appreciate the pleasant wearer comfort of the Genu Arexa. The orthosis is also very easy to put on and take off. 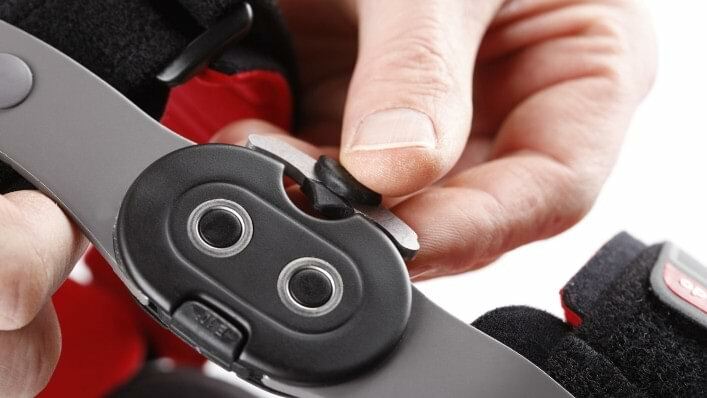 Thanks to what is known as the frontal contact, you do not have to slide into the orthosis. All you need to do is place the Genu Arexa over the leg and fasten the hook-and-loop closures. For your orientation, the straps are also numbered in the sequence you have to fasten them. The Genu Arexa rigid-frame orthosis can be individually adjusted for you. The plastic shells automatically adapt to the contours of your leg – for ultimate wearer comfort. When you do not put the usual load on the knee after an injury or operation, you can lose muscle strength. Instabilities can lead to difficulties keeping your balance. A targeted exercise programme supports the fitting of the Genu Arexa and purposely helps rebuild your musculature. You also practice your balance. The exercises which start in the first week and are divided into three phases can be performed by you daily at home. However, it is important for you to talk to your doctor or therapist, and to clarify whether they are suitable for you before you start the exercises. You will find the exercise programme in our download area in the patient brochure. Knee pain with severe or complex ligament laxity and/or severe feeling of instability, with the option to limit the range of motion. The patient information tells you about the clinical picture of ligament rupture. Therapy options are described and the Genu Arexa is presented. A patient reports on her experiences with the orthosis. An exercise programme is also integrated, presenting exercises to improve knee stability. Frequently asked questions are answered. In the special exercise programme, we have compiled exercises to support the fitting with the Genu Arexa. 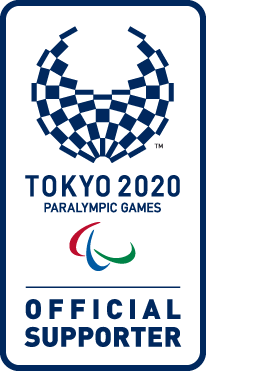 This document contains information on applying the Genu Arexa. Tips for proper care are provided as well. Will I receive the Genu Arexa directly after my operation? Patients are fitted with a rigid immobilisation orthosis in the operating room. This is to allow stable partial weight bearing using two forearm crutches. Many are fitted with a rigid frame orthosis about ten days after the operation, when the sutures are removed. This permits controlled movement of the knee. Why should I choose the Genu Arexa? 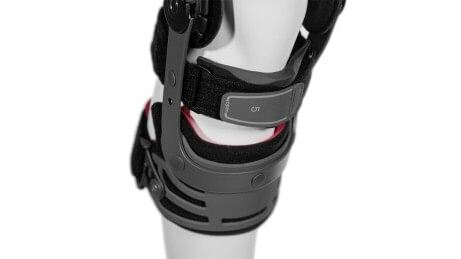 If your knee is being fitted with a rigid frame orthosis and comfort is very important to you, then the Genu Arexa is an excellent choice for you. The orthosis is easy to put on and features auto-adaptive plastic shells, which make a significant contribution to wearer comfort. What is the best way to clean the orthosis? The straps and pads are removable and can be hand washed in warm water at 30° with neutral soap. Then you can simply allow them to air dry.